Martin Senour has introduced PRO Filler Body Filler, a premium line of lightweight, fiberglass-reinforced filler and putty. 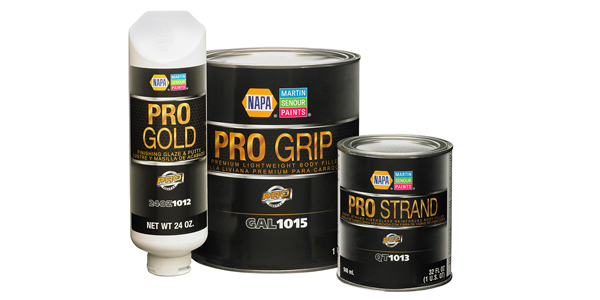 The professional-grade product offering provides reliable, high-caliber performance in any repair. Body shops seeking a straightforward, cost-effective solution to auto body repair look to the PRO Filler line for a quality product that will promote shop productivity. With professional-grade adhesion, elimination of micro-pinholes and industry-leading sanding properties, PRO Filler is a versatile system fit for any repair job. For more information regarding Martin Senour paint products and training opportunities, visit martinsenour-autopaint.com or call (800) 526-6704.